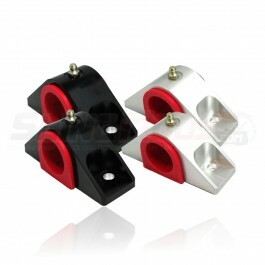 A sway bar is the mechanical portion of a Slingshot which helps maintain contact between it's wheels and the ground. When a Slingshot takes a turn or moves over uneven ground this momentum causes weight displacement which will in turn tilt the wheels to one side. This causes the wheel to lose contact with the ground which reduces friction between the two. When this happens the driver will notice a marked decrease in the amount of control they have over their Slingshot, and in extreme circumstances can even lead to a total loss of control. Thus the advent of the sway bar, which helps to equalize this displacement of contact by combating tire roll and holding the wheels in proper alignment without interfering with each wheel's independent vertical motion.